Popular Apps & Games for iPhone/iPad & Android! 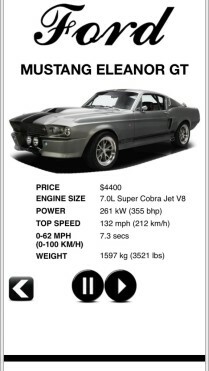 Sports Car Engines returns this time bringing you the roaring sounds of the fastest, most powerful Muscle and Import cars from around the world! FREE Version! on App Store! Experience the adrenaline-pumping sounds of some of the loudest, most powerful Muscle and Import sports cars in the world! Over 170 Muscle and Import Cars! Listen to over 170 heart-thumping Muscle and Import cars from the Ford Mustang Shelby GT500 to the Chevrolet Chevelle SS to the Nissan GTR R-35! 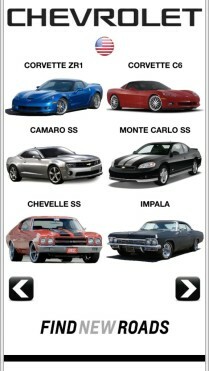 Any Muscle or Import car you can dream of is just a tap away! 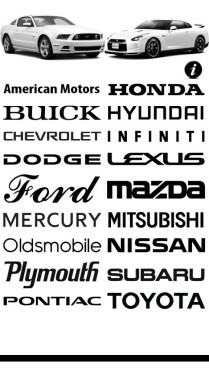 A superb collection of brands including Ford, Dodge, Chevrolet, Plymouth, Lexus, Nissan, Infiniti, Mazda and much more! Experience Sports Car Engines for yourself and see what all the fuss is about! Try it now for free! 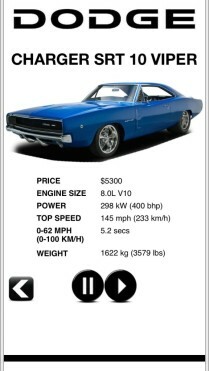 This app is really well made with real sound clips of tons of some of the most popular imports and muscle cars. Definitely check this app out! Worth the download, I really enjoy the sound when connecting the device to the surround system. A great app that is well worth the money!